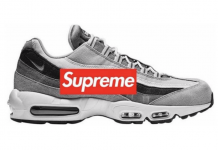 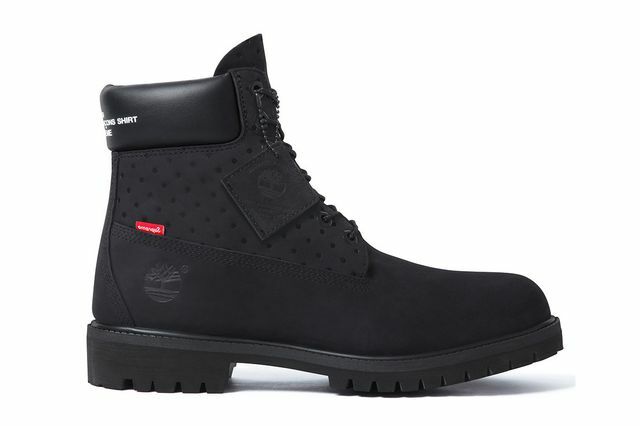 Here we go again, Fall 2015 is setting in and the boot themed releases see the brands out there following suite. 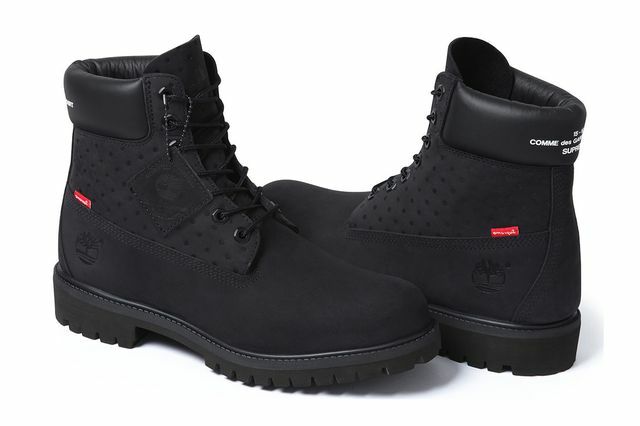 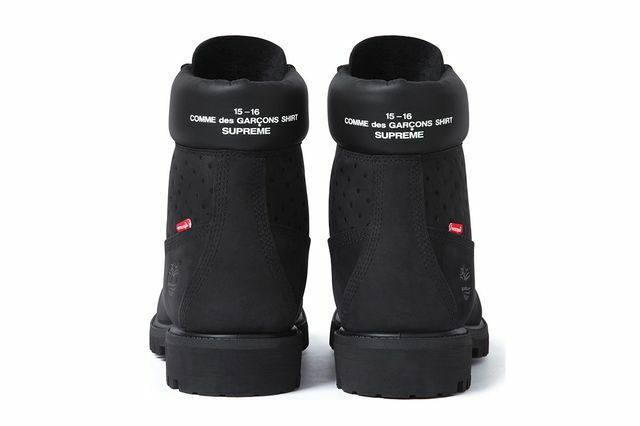 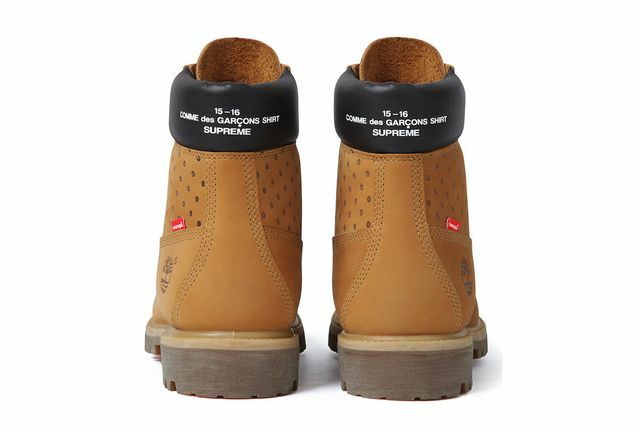 Here we see Timberland enlisting the help of Supreme and COMME des GARCONS, a star studded a fair as you can tell. 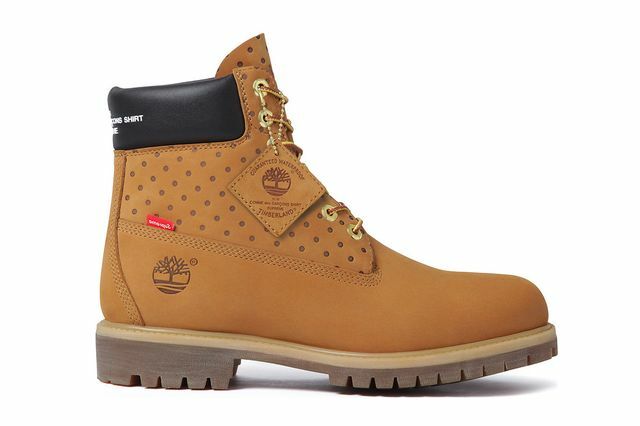 Decking out the iconic 6″ boot from Timberland are two simple new looks in tan or black, each making use of water-proof leather uppers. 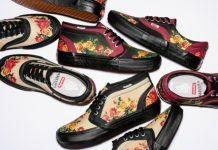 A polka-dot upper adds a COMME des flair, all the while leather, branded collars drive the upper echelon aesthetic home. 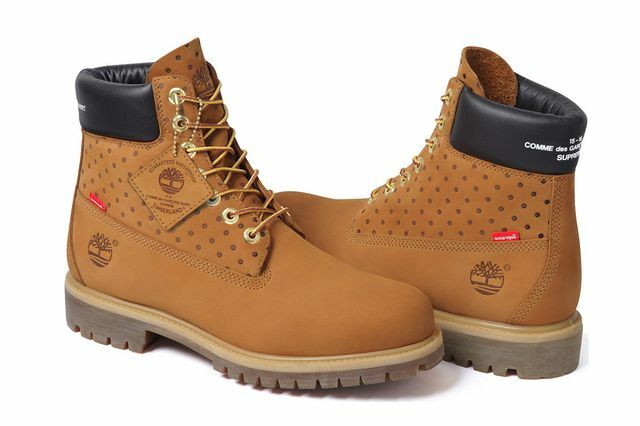 Unfortunately for you, these won’t be hitting shelves until December, but as always, stay tuned to MN for the latest.